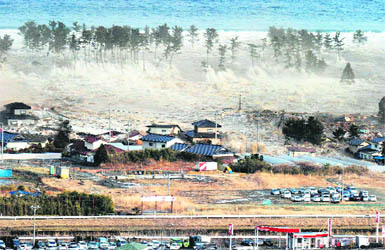 A devastating tsunami triggered by the biggest earthquake on record in Japan killed at least 1,000 persons along the northeastern coast on Friday after a wall of water swept away everything in its path. 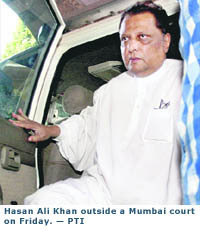 Hasan Ali Khan, accused of being a hawala dealer, was today granted bail by a Mumbai court. While letting Khan go free, Special Judge ML Tahiliyani of the Sessions Court pulled up the Enforcement Directorate for not being able to establish the offence committed by Khan under the provisions of the Prevention of Money Laundering Act under which he was arrested. A day after AIADMK chief Jayalalithaa alleged that Congress leading the UPA government at the Centre had capitulated to the demand of Karunanidhi on CBI investigation, a special team of the investigation agency today landed at the Kalaignar TV office, situated at the DMK headquarters and questioned Tamil Nadu CM M Karunanidhi's wife Dayalu Ammal and daughter Kanimozhi in connection with the 2G spectrum scam. Five convicts in the Manoj-Babli honour killing case have escaped the gallows, but the policemen investigating the case are in the dock. Holding them guilty of being �hand in glove� with the �accused party�, the Punjab and Haryana High Court has ordered disciplinary action against them. 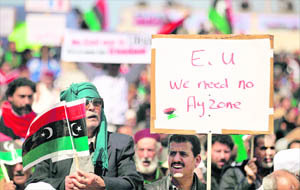 Columns of Gaddafi�s tanks, after over-running most of the oil town of Ras Lanuf, were headed down the eastern coastal highway at striking distance of other key rebel strongholds forcing the opposition leaders to send an SOS for western intervention, saying they feared cleansing. Harvard University, the oldest institution of higher learning in the US, has been ranked as the world's top varsity. The Massachusetts Institute of Technology made it to number two, with the University of California Berkeley coming in at number four in the list of top 10 most highly regarded universities in the world.